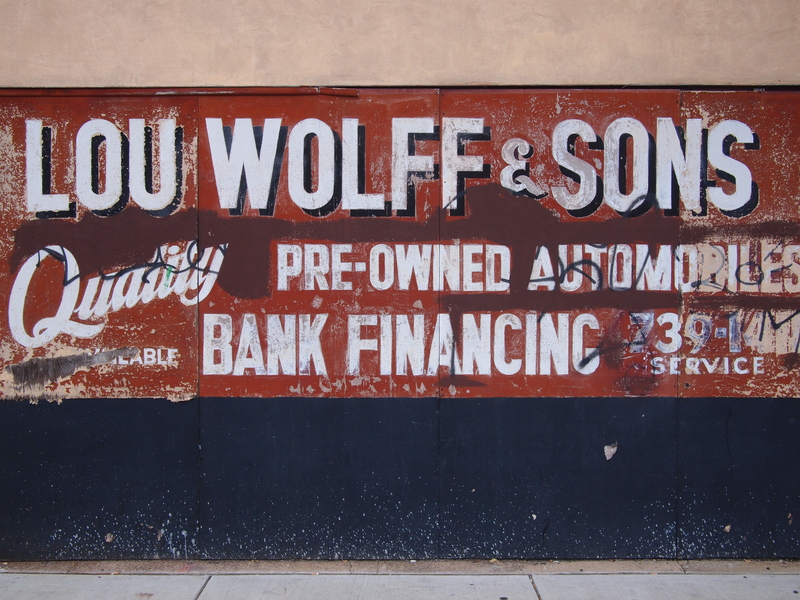 Graffiti over some pretty nifty lettering from this 80+ Fishtown autodealer. Just out of shot, a dozen Arctic Splash containers, 14 September 2013. 18 Sep	This entry was published on September 18, 2013 at 8:27 am and is filed under Fishtown. Bookmark the permalink. Follow any comments here with the RSS feed for this post.